CultureHub LED Mappathon™ is a two-day workshop where students learn basic knowledge of projection mapping technology to map digital LED lights. 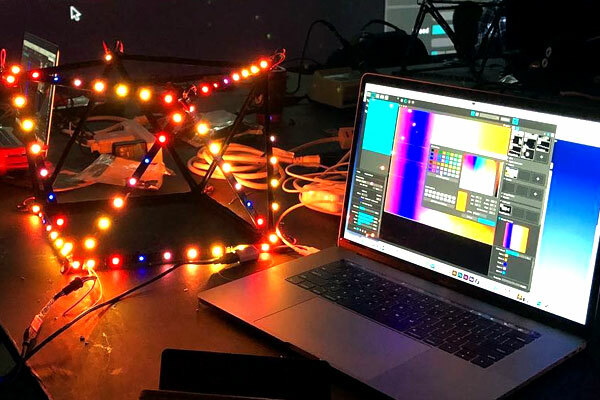 Our workshop involves choosing the right types of LED lights, recognizing how video content maps and controls LED lights, and creating a simple geometric LED lights structure to take away using MadMapper 3.5 with the newest features. As a plus for all participants, students receive a free 30-day full access to Modul8, MadMapper, and Vezer.